Magic Leap announced last week that its mixed reality glasses — which have been shrouded in mystery and hype for almost four years — will be available later this summer. What should’ve been exciting news unfortunately fell flat. In a developer chat on Twitch that same day, the company showed off a less-than-impressive prerecorded demo of a small rock golem throwing some rubble around. Compared to earlier videos of a crashing whale in the middle of a gym and a floating solar system, this just came off as disappointing. Was this all there was? The next day, Magic Leap co-founder Rony Abrovitz went on Twitter to explain that the video was a teaching tool for the creator and developer community. “Any video or 2D medium (photos) is completely inadequate to actually deliver the experience of a digital lightfield on ML1,” he tweeted, saying that the Magic Leap hardware is tuned to the way the human eye works, and is not designed for camera sensors. In short, it’s better if you try it. While that might be true, it’s clear from the backlash that the public’s patience for Magic Leap has grown thin. Over the past four years, the company raised over $2.3 billion in funding, with a chunk of early investment from Google all raising our expectations. The company also released those aforementioned teaser videos, where it really seemed as if it could conjure up virtual creatures and have them interact with the real world. As great as it seemed, the company has been incredibly secretive, letting only select media try it first hand. There were also reports that some of those early videos were fake, and created with special effects. Combine that with the lackluster golem demo and the fact that it’ll be an AT&T-exclusive and Magic Leap seems like an overhyped mess. Which, unfortunately, casts doubt on the state of augmented reality in general. While virtual reality is slowly gaining popularity, AR just doesn’t seem to have succeeded in the same way. 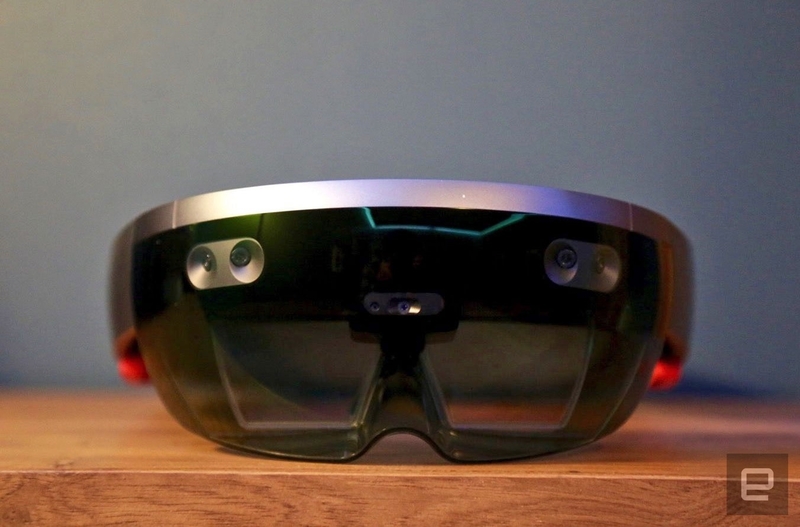 Google couldn’t make Glass work despite its deep well of resources, and Microsoft’s HoloLens is still very much in the developer stage. Even Apple, which is said to be making its own AR glasses, apparently won’t have anything to show until 2020 at the earliest. What is it that makes AR so difficult? And why hasn’t it taken off? Except, it sort of has… in the enterprise world, that is. “There are actually over 50 smart glass manufacturers out there in the market now,” said Ori Inbar, the founder of Augmented World Expo and partner of Super Ventures, a venture fund that focuses on augmented reality. Those manufacturers include Vuzix, ODG, Meta, Solos, Epson and Atheer to name a few, and almost all of them make some kind of AR headset, primarily for businesses — helping technicians fix a machine with without having to look at a manual etc.. Or remote assistance, where an expert looking through their camera could talk them through the problem. While the consumer version of Microsoft’s HoloLens doesn’t seem to be going anywhere, it’s actually doing well in the business and science world. Microsoft partnered with Ford so engineers can visualize full-scale models in 3D, it’s helped the University College London transform medical imaging into 3D models and NASA scientists are using it to “explore” Mars. There’s at least a dozen more companies and industries that HoloLens is currently involved in, according to a Microsoft spokesperson. There are a few reasons why AR has taken off in the enterprise space and not so much with consumers. For one, hardware is expensive. Most of these headsets are over $1,000 each, which is far too pricey for the average consumer. For businesses and corporations, that’s a relatively small investment, especially when buying at scale. Plus, these headsets are often purpose-built for specific tasks. You only have to wear them occasionally, like when you’re repairing an engine or building out an operating room. It’s OK for these things to be bulky and cumbersome because they’re part of a job. The relatively small field-of-view of these early AR headsets is more acceptable, as you don’t need that slice of information to take up your whole view. Consumers, on the other hand, are far more demanding. Not only must the headset be affordable, it must also be high quality and be something they’re willing to wear for hours on end. One big sticking point, Tang said, has been that all displays have a fixed focus, whereas your eyes don’t. It’s one of the reasons Avegant — and supposedly Magic Leap — have been investing in light-field technology, which enables what he calls a “simultaneous multifocal experience.” This means that you’d be able to get up close and personal with virtual objects and not have them blur out the closer you get to them. Add hand-tracking to the mix and you can feel like you’re touching the objects, making the experience a lot more realistic. “For perfect AR, you want excellent resolution. But this gets harder when you get a larger field-of-view. Which creates other problems like power and cost.,” said Tang, explaining the many other factors that go into building a perfect pair of AR glasses. “In many ways, these constraints are of opposing concerns. It’s a game of balance between a lot of limitations.” Unfortunately, until there’s a big breakthrough, there’ll have to be compromises, which results in mediocre experiences, said Tang. Here, however, is where mobile AR comes into play. 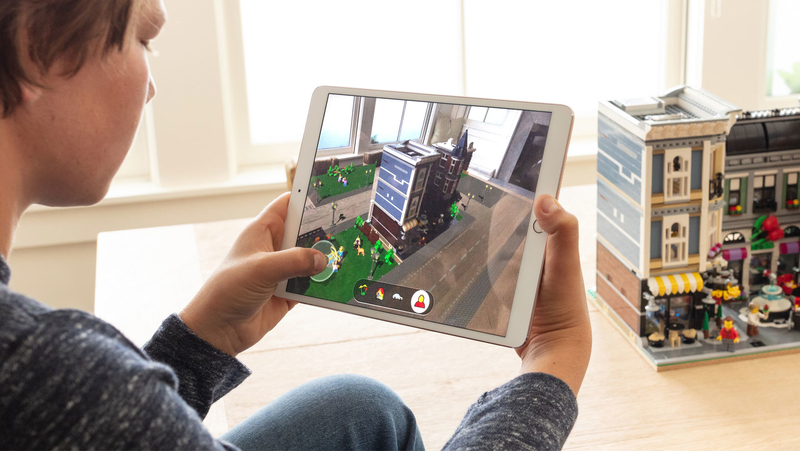 Thanks to Apple’s ARKit and Google’s AR Core, developers around the world can create AR experiences with devices at a large scale — the smartphone. “There are really neat applications that demonstrate well on mobile, but are better suited on a headset,” said Tang. He gave an example where you could hover your phone over a newspaper or magazine and have the images come to life, which is an experience that would be a lot easier if you were wearing glasses. Emrich and Inbar pointed out you can already see some of this with e-commerce, with people trying on virtual clothes and makeup before they buy them. 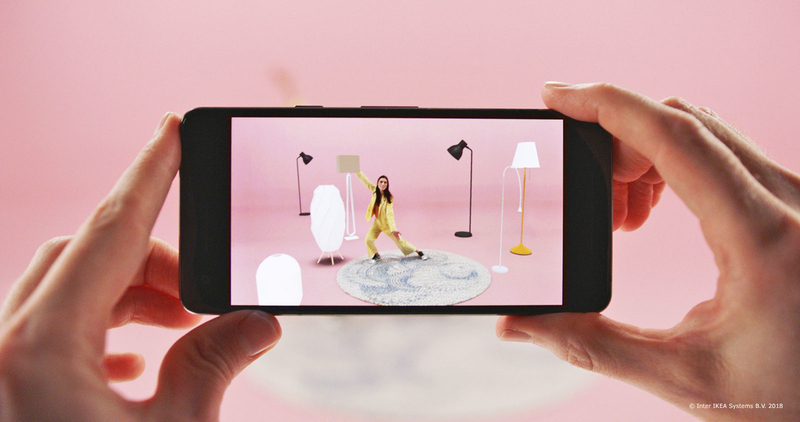 Companies like Houzz and Ikea, for example, have apps where consumers place virtual furniture in their homes to get an idea of how it’ll look. According to Houzz, 50 percent of shoppers who bought something on its platform used a 2D version of the tool in the past, giving credence to the idea that a visualization tool like this would be popular with consumers. Whether or not any of this will turn out to be a must-have reason to get a physical pair of smart glasses remains to be seen. At least these apps help whet consumers’ appetites for augmented reality usage. Raised in the tropics of Malaysia, Nicole arrived in the United States in search of love, happiness and ubiquitous broadband. That last one is still a dream, but two out of three isn’t bad. Her love for words and technology reached a fever pitch in San Francisco, where she learned you could make a living writing about gadgets, video games and the internet. Truly, a dream come true. Other interests include baseball, coffee, cooking and chasing after her precocious little cat.